A good selection Blusher and eyeshadow. A powder based product which can be applied with your finger, brush, swab. Washes off easily. 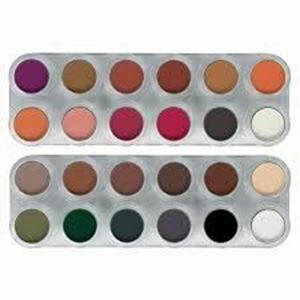 Also comes in pearl shades in a seperate palette. The colours in this selection are all matt.